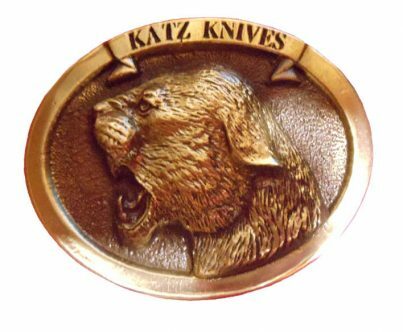 Keith Derkatz is the founder and President of Katz Knives Inc. The company was formed in 1991, to design and implement high quality knives, axes and accessories, All the knives are designed by Keith personally and contracted out, to high quality manufacturers in Japan and Spain. High standards in quality are number one in the manufacturing of these knives. Katz Knives take great pride in producing one of the highest quality factory knives on the market today, giving the user a lifetime of pleasure and satisfaction. Katz Knives rivals competitors and customs made knives, with a reasonable and fair price. We represents a good investment in fine cutlery with very impressive styling and industrial design. In the few short years of this company, Katz has introduced over 125 different models and variations, including fixed, folding, survival and pocket knife models. XT80 & XT70 Stainless Steel is a proprietary type of steel used by Katz. XT80 tests at 58-59 on the Rockwell “C” scale, and XT70 tests at 56 on the Rockwell “C” scale. With the resilience of this excellent Stainless Steel, it hold and retains an edge to the high standard for which Katz Knives is known for. All Katz Knives fixed blade hunting models are constructed with a full 4 or 5mm blade thickness, which make these knives the strongest in the industry today. Blades are hollow ground with a satin finish and full tang construction. Keith Derkatz grew up on a grain farm in central Canada. He loved the outdoors and had ample opportunities to do what he loved most, Hunting and shooting. At a very early age he was shooting .22 rifles and by the age of 8, his father consented that he could start shooting 12 Gauge double barrel shotguns. 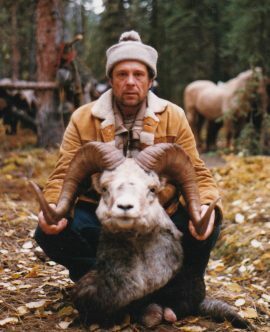 The gun was bigger than he was but this did not deter him, and sparked a life long passion for both firearms and hunting. Keith’s main residence is in the Okanagan Valley, in beautiful British Columbia, where he spends much of his time, the area provides ample opportunities for some of the best hunting trophies available anywhere in the world. Being an ardent hunter, Keith was not satisfied with many of the knife models avaliable on the market. So, Keith decided to design knives from the mindset of hunter as well as other unique designs.